Hello there! This listing is for 2 files. 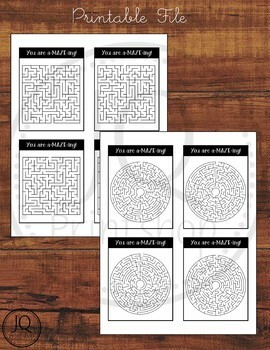 There are 4 different mazes on each page. Each card is 3.5 in x 4.5 in. This is a zip file. I do not have a way to combine multiple PDF files yet.